Water systems across the country have approached drinking water affordability using different metrics and innovative solutions. While other parts of the country take on affordability at a local level, California is tackling this issue at the statewide level. In 2012, California Governor Jerry Brown signed Assembly Bill (AB) 685, declaring water to be a human right. This enactment not only made California the first state to legally recognize this basic need, but highlighted challenges that needed to be addressed in order to fulfill the State’s commitment. This post focuses on 1) the affordability challenge which has received national attention as California tries to implement the first statewide low-income rate assistance (LIRA) program and 2) other proposed or passed California legislation related to water affordability. AB 401 (Dodd, 2015) required the State Water Resources Control Board (State Water Board) to develop a plan for a household-level LIRA program for drinking water. This includes establishing a revenue source and criteria for household eligibility and enrollment. Additionally, the plan will have recommendations on how to minimize costs and thus enhance customer affordability for water utilities. To complete this daunting task, the State Water Board contracted the University of California, Los Angeles and legal staff from the University of California, Berkeley to design scenarios for a LIRA program. Before the signing of AB 401, California already had existing regulations for LIRA programs for water utilities. Depending on the ownership of the water utility, public or private, regulations varied. The Environmental Finance Center at the University of North Carolina at Chapel Hill highlights this in Navigating Legal Pathways to Rate-Funded Customer Assistance Programs: A Guide for Water and Wastewater (2017). In California, private water and wastewater utilities, also known as investor-owned utilities, are regulated by the California Public Utilities Commission (CPUC). Not only does the CPUC regulate rates, but it also allows for the creation and implementation of LIRA programs. For public  water and wastewater utilities, also known as government-owned utilities, implementing LIRA programs is a bit more challenging. This is due to Proposition 218 (1996), which requires agencies to charge property owners water fees that solely reflect the direct cost of the water service . This limits funding options for public water utilities to subsidize LIRA programs as rate revenues cannot be used to fund them. Following these assembly bills, Senate Bill 623 (Monning, 2017), which proposed a state drinking water tax, was introduced. The state tax would assist communities with drinking water that currently violates federal and state drinking water standards, which could affect affordability due to increased treatment costs. The bill would append an additional $0.95 monthly fee for residential customers and up to a $10 monthly fee for businesses. Customers whose household income is less than 200 percent of the federal poverty line would be exempt from the fee. The agricultural industry would receive a higher monthly fee due to frequent chemical use, which commonly causes high water contamination. This controversial bill eventually became a two-year bill  and was put under committee review. However, a similar bill was recently introduced in the 2018-19 Governor’s Budget as a budget trailer bill , fomenting more controversy. Senate Bill (SB) 998 (Dodd, 2018), which provides a standardized process on water utility shutoffs to residential customers, is the latest bill to be introduced. Part of the process would involve water utilities to provide an advanced written notice of a water shutoff and provide a 60-day grace period for delinquent customers—thus, ensuring continuation of water service. If a water shutoff were to occur, fees for re-connection are to be waived for low-income households that are under the 200 percent federal poverty line. Achieving water affordability has no shortage of challenges from both economic and legal aspects, especially in the case of a state-wide program. For every state or city, the way to achieve affordability is different, but analyzing cities or states which have tackled the issue of affordability can provide insight to other groups who are looking to address this issue. As California continues to strive to achieve the legally recognized human right to water, it also continues the discussion on drinking water affordability. California’s legislative session officially adjourns on November 30. 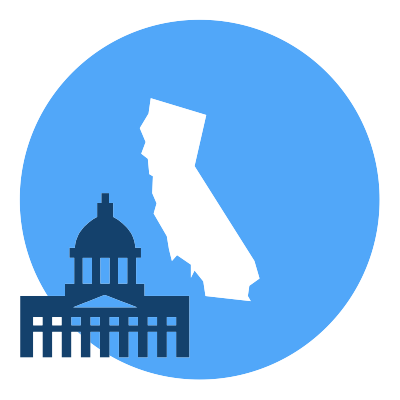 For the most up-to-date information on bills currently under review, please visit the California Legislative Information website. Prop. 218. Article XIII D. §. 6 (b) 1-4. Two-year bill: A bill that is carried over from the first year into the second year during the two-year legislative session. Budget trailer bill: A bill that implements statutory changes as part of the budget adoption. Claudia Flores is a project coordinator with the Environmental Finance Center at the University of North Carolina at Chapel Hill and works from a satellite office in Georgia. She graduated from the University of California, Los Angeles where she majored in Environmental Science and minored in Environmental Systems and Society. Wow! I don’t even know where to start! I have worked in the industry for the last 8 years and I do believe that everyone should have access to safe clean drinking water. I work for a non-profit, special district, Water Authority in New Mexico. The majority of our customers are below the federal poverty line. We have had great success with “Regionalization”. We combined several small mutual domestic water associations and have been able to reduce cost by sharing resources and eliminating duplication of efforts. Your article raises several points I would like to address. First of all is shutoffs for delinquent customers. We don’t like to shutoff service , we don’t get any joy out of it and it actually cost the water company to shut it off and then go turn it back on but if we didn’t there are people that just would not pay their bill. The legislation proposed in California is only going to increase the cost of water. It cost to send out additional notices, it cost to turn the service off and on. Those cost get included in the cost of providing service to everyone and contribute to rate increases. If your monthly bill clearly states the due date and penalties for non payment, you shouldn’t need to send another notice to someone that already knows they haven’t paid their bill. What we need to do is treat our customers like grown ups and tell them what the rules are and that we expect them to pay their bill. Sure there are going to be times when people need help. Offer payment arrangements without penalties for those times. This would require customers to be grown ups and contact the water company and let them know that they need assistance instead of just not paying the bill. I can’t speak for all water utilities but the one I work for makes every effort to help out customers with payment arrangements to avoid extra fees and penalties. Our disconnection list recently got so large we struggled to get services shut off. Our delinquency fee of $20 was not enough deterrent for non payment, so more and more customers were paying the additional charge without complaint. After raising the fee to $50, we saw a significant decline in delinquent accounts. We don’t look at the fee as additional revenue, the fee is there so people will pay their bill. We shut off service so people will pay their bill. If we didn’t, no one would pay and we would no longer be able to provide water to anyone. I would encourage you and the state of California to rethink your legislation unless you have found a way to fund the water company so they can stay in business. Which brings me to my next point. I don’t want to get political and start a war here, but the idea of creating a low-income rate assistance program is nothing more than the state pushing socialism on everyone. There probably are a handful of customers that are elderly and on a fixed income that physically can not do anything to change their situation but I would estimate that more than 90% of our customers are able bodied and could. Water is a human right but so is choice! We frequently deal with customers that claim they can not pay their water bill. I can’t tell you how many of those people stand in front of us with their cell phone in hand and drove up in nice vehicle. I’m not saying they don’t deserve to have those things too. What I am saying is, if you have a limited income, you may need to rethink your priorities. Buy a less expensive car, do without a cell phone, people used to get along just fine without them. Maybe skip getting your nails done or getting that tattoo. I am not trying to be ugly, I am just suggesting that we get away from everyone expecting assistance and lets expect people to get their priorities in order. I just don’t understand the logic behind taxing people to help pay for the poor choices of others. Show me someone who has done everything in their power to help themselves and still needs assistance and I am on board but if you can afford cable TV and a cell phone but not your water bill then that is your problem, cable TV and cell phones are not a human right. I know I am probably ruffling some feathers with my comments but I can’t help but ask, why should I get up everyday and go work for a living and get taxed so the state can turn around and give assistance to others? I could easily quit my job and get in line for assistance too. What are we going to do when everyone else gets tired of being taxed to support low income families and they decide to quite working and get in line for assistance? We aren’t solving problems by legislating socialism into existence, we are just creating a whole new batch of problems. Let’s put our efforts into conservation and responsible usage. My apologies to anyone I may have offended and heaven help the state of California! Thanks for raising awareness of state-level policy development in CA — too often the opportunity for state policies to promote affordability go overlooked. Very interesting post, thank you for all the hard work you do also for taking of the Environment.